HeatherElma » The Indie Design Co.
Heather wanted a contemporary logo for her Health Coaching endeavour. The design brief was to create something clean, modern & fresh incorporating a lemon as the symbol for healthy living. 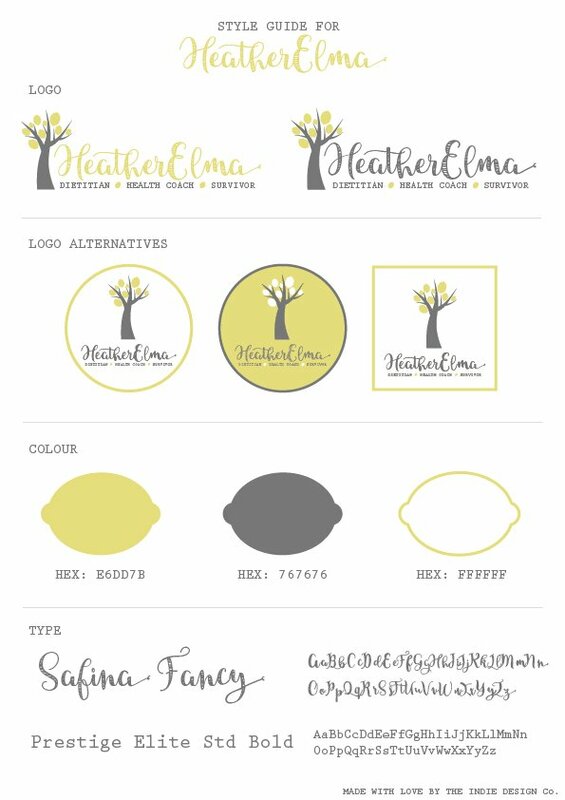 We created a logo with a yellow and grey colour palette, with a script font and a custom-made lemon tree. I am personally kind of in love with this branding.